I have worked with quite a few buyers and it is coming to my attention that there is really a lack of knowledge on public’s part as to how real estate works. It is really not their fault however, in my opinion, they just don’t understand the real estate industry and therefore act based on little information they have, or misinformation heard from other unqualified sources. Below I have listed ten things that buyers don’t understand about real estate. Almost all properties are on MLS including Comfree listings. The only properties that won’t be on MLS are sale by owner properties that seller is potentially advertising on Kijiji or through sale by owner sign in front of the house or exclusive listings that seller is selling through one agent only. I see many buyers spend countless hours on other sites looking for properties in the fear of missing out on good properties. All the real estate sites – Realtor.ca, Point2homes, Winnipeg Free Press Homes etc. get their feeds from MLS. These sites, depending on their agreements with different brokerages, may or may not have all the houses that are on the market displayed on MLS. Realtor.ca is a website paid for by Realtors and would have the most comprehensive list of properties after MLS filtered to display certain information only. If you are working with an agent, your agent will likely set you up on a portal that feeds listings from the MLS filtered to meet your criteria. If your portal isn’t displaying the homes you are looking for, consider working with your agent to broaden or specify the criteria as much as you can. This will save you valuable time and unnecessary sorting of hundreds of listings on different websites. In a real estate transaction, two parties come together to form a contract and exchange real property. In most cases, the seller is represented by the listing agent and the buyer is represented by the selling agent. There are three different types of agency relationships that buyers and sellers must understand. As explained above in the agency relationships, the listing agent represents the seller and therefore works for the seller and not the buyer. Going through the listing agent doesn’t get you a deal for two reasons. First, without the knowledge of sold comparatives in the area, a buyer cannot assess whether $5,000 or $10,000 off the listing price constitutes a deal or not. I have personally seen houses that were listed $50,000 – 70,000 higher than the market price. Second, the listing agent has no obligation to disclose any information to the buyer if no agency exists unless the buyer requests the information and from what I have seen, most buyers are unaware as to what due diligence is required in buying a home. Home buying process is based on the principle of Buyer Beware, so if you don’t ask the right questions, you don’t get to the right answers. With that being said, it is not true that going to a listing agent will get you a deal, it only helps the seller because it is easier to negotiate with an uninformed party rather than somebody who knows the market data and the home buying process. Buyer’s don’t understand that realtors get paid through commissions. What does that mean? It means that if you don’t buy a house from them, they don’t get paid for all the work they did searching for properties, showing you houses and asking due diligence questions. If you are not committed to your agent or you are working with two or three agents, let all the agents know in advance so they can choose to spend time working for you knowing that you might not buy from them. Honesty is the best policy and if you want that from your agent, the rules are the same for buyers too. Many buyers don’t know how their agents get compensated and so many buyers don’t get an agent for the fear of having to pay them commissions. So, how do buyer agents get compensated? Seller compensates both his/her agent and the buyer agent who brings in buyers. The listing agent will negotiate a certain commission rate with the seller and will split portion of it with the buyer agent. This system works in favour of both the sellers and the buyers as sellers get access to all the buyers working with their agent and the buyers working with other agents. The buyers, on the other hand, get representation that they otherwise wouldn’t be able to afford. So, next time you are in the market to purchase a home, get representation; it doesn’t cost you anything. This is another no-no in the industry. If you are working with an agent, all the communication needs to go through the agent you are working with. As mentioned above, Realtors get paid through commissions, so if you are not going to write an offer with the listing agent, they don’t want to do the work for free. The valuable time they spend showing you the house or answering your questions for no financial reward, could be better spent with their own families or with clients they are working with. The other reason for not communicating with the listing agent is for negotiation purposes. You don’t want to accidently say something that might hinder you negatively during the negotiation process, such as your lease is up in two months. Agents have to book time for showings with the sellers. Most sellers will need at least few hours of notice and in case of tenants, minimum 24 hours of notice is required. Sellers need reasonable notice so they can tidy up the house, make arrangements for the kids or pets and plan ahead according to the showing. So, do respect seller’s and your agent’s time and show up at the time of showing. If you are going to be late or not make it to the showing, let your agent know in advance, so he/she can inform the seller and therefore avoid the seller unnecessary hassle. Many buyers get frustrated with their agents due to lack of communication and pro-activeness. However, the opposite is also true. Make sure you communicate with your agent at the beginning of the home search and lay out your expectations in terms of motivation, commitment and communication. Communication is a key to all relationships and same goes with the one with your agent. Communicate openly and honestly about your wants and needs. And if you change your mind about what you want or timeline of when you want it, its okay; communicate that to your agent and they would be more than willing to accommodate your request. When you work with an agent, you get access to their knowledge, network and expertise acquired through many transactions. The knowledge of the neighbourhood, the city and an inside industry knowledge along with expertise in home buying process make agents a great resource. Many real estate agents have their network of professionals such as mortgage brokers, home inspectors, contractors, lawyers, moving companies etc. that they have built solid relationships with over many years. These relationships are formed over many years through process of trial and error. Agents only work with professionals who provide the best service to their clients and are repeatedly highly recommended by others and their clients. When you work with an agent, you get access to this vast network that will provide you with best service. Real estate is a referral business and agents grow their client base through referrals. If an agent does a great job for you, make sure you refer their services to your friends and family. As agents, we love to form long term relationships with our clients. 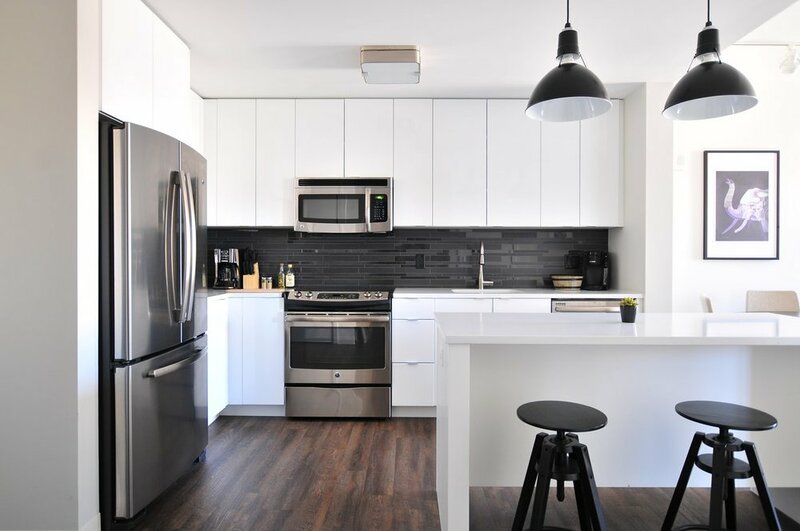 We help them with any issues that come up during home ownership, give them advice on renovation projects to undertake considering resale value and just be part of their lives from time to time. Building these relationships also help you as a homeowner, as you can get regular updates on the neighbourhood and the value of your home every few years. When you use a Realtor, they can become a great resource to rely on for everything related to homeownership. Disclaimer: The views and opinions expressed in this article are those of the author and do not necessarily reflect the views of any affiliated parties. Information presented is for general information only. Nothing contained in any of the posts, comments or replies is intended to be, or constitutes legal or professional advice on any general or specific legal or professional matter. No liability is accepted for any reliance upon any post or material contained in this post. References are provided for information purposes only and do not constitute endorsements of any companies, websites, or other materials.